Are you great at being able to see over the horizon to see what’s coming? Recognize trends easily? Do you naturally find patterns in large amounts of information? Are you great at starting projects? Are you a big vision kind of person? If so perhaps you’re a mountain or know someone else who is a mountain, one of the 8 Life Lenses™. Mountains see the big picture. Their head (and attention) is focused upwards. 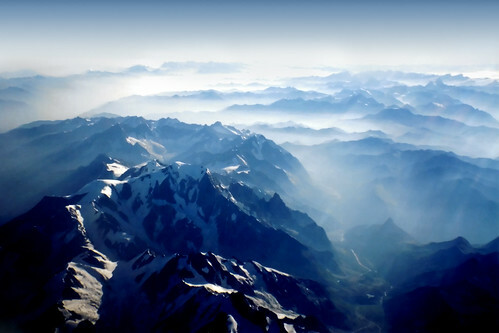 Mountains relax by thinking big and broad, mulling over trends and patterns. If you could peek into their gray matter you’d see lots of thought bubbles floating by, connecting disparate ideas in new ways. They easily try new things (the word ‘mistake’ isn’t really in their vocabulary) and consequently they can be quite forgiving. Something not work out? No problem to a mountain, they’ll quickly have 5 more ideas of how to proceed. Imagine standing atop a majestic mountain, the view is broad, wide and encompassing. A mountain sees the forest not the individual trees, that’s its strength. I’m married to the Mount Everest of mountains – he effortlessly skims thick reports and can see how the overall concepts connect (or don’t). He keeps his focus on the big picture. Does the idea of examining a big report for the broad patterns or overall concepts it contains make you go ‘hmmm, I’d love to do that, in fact let me dive into the report I have at my elbow right now’. Or does it make you groan, thinking you’d rather have a bikini wax. If the latter, my guess is you’re not a mountain but rather a carrot, the mountain’s opposite. Yes Lee-Anne, the view from the mountain fits for all big boys!!!!!!!!!! Hmmm and many women I’m certain. Here’s to celebrating those mountain lenses with verve and vision, be they men or women!